Gelastic epilepsy is a rare epileptic condition that usually occurs because of a small benign tumor formation in the hypothalamus part of the brain. In the last decade, there is a rise in the number of children suffering with Gelastic seizures as well as its treatment options. When deciding on a treatment, it is imperative to discuss: all associated risk, available treatment options, and equate that to the possible long-term benefits. When opting for any type of treatment for Gelastic epilepsy, make sure you get all your doubts clear. If for the treatment you need to travel to another State, make sure that you have good contacts with doctors in your State as well, who will be looking for any kind of emergency care or treatment after the operation. Trust your team of doctor who’ll be handling the treatment. If you have any issues even at the last time, you should consult about it and I am sure they’ll be happy to answer to all your questions. Antiepileptic Drugs – This is the first basic treatment offered to people with Gelastic epilepsy. This is the least invasive treatment option. While AEDs have been known to control various seizure types such as tonic-clonic (formerly grand mal seizures) but for gelastic seizures associated with hypothalamic hamartomas, they may not work at all even if given higher doses. But they always help to control secondary seizures such as petit mal seizures or absence seizures associated with Gelastic epilepsy. Some common AEDs prescribed to patients with Gelastic epilepsy are: topiramate (Topamax), valproic acid (Depakote), carbamazepine (Tegretol, Carbatrol), lamotrigine (Lamictal), and oxcarbazepine (Trileptal). There are many side-effects too from these drugs such as fatigue, drug interaction, and loss of concentration or depression. However, doctors usually give AEDs in the initial stages of Gelastic epilepsy and frequently adjust dosages to minize their side-effects. Laser Treatment – Many children are now also treated with MRI-guided lasers to terminate lesions that are responsible for gelastic seizures. This treatment option uses real-time MRI-guided thermal imaging and laser technology to eliminate symptoms of Gelastic seizures in children between age group of 5 to 15. 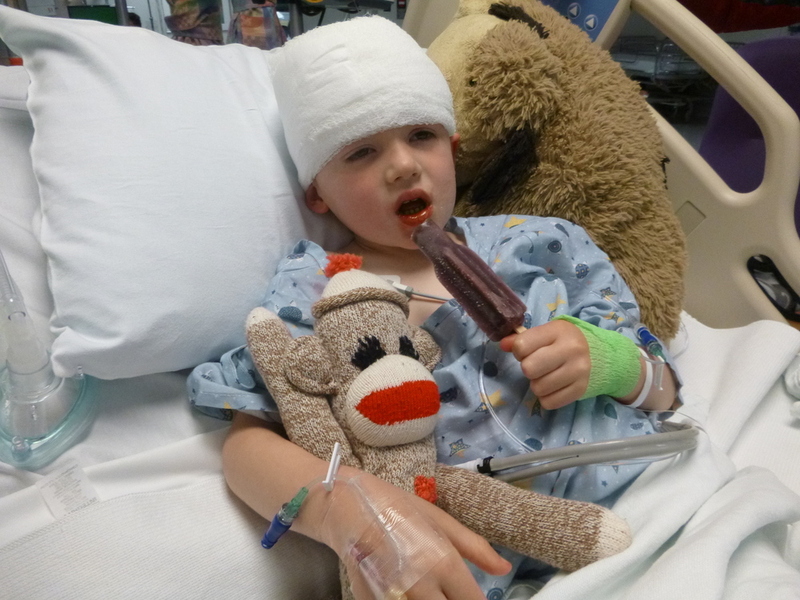 Gelastic seizures are difficult to treat with alternative treatments for seizures. As an individual ages, the complications of gelastic epilepsy also progresses. Follow your doctor’s advice and do not delay on choosing the best treatment especially for your children between 5 and 15 years of age. For more information, please bookmark our website to find relevant information on different seizure types and their treatments.